Live Music Evening – All Kinds of Fabulous! Three Fantastic Acts, Xander Rawlins / Sharon Rose/ Ricky and The Hats, take to the stage in the Members Lounge at Beaufort House this Thursday night (14th November) …and then its time to party with an amazing DJ set up in our stunning Penthouse Champagne Bar… The evening is free, and non-members are welcome. Xander Rawlins released the EP “1000 Miles Apart” in December 2010 whilst still serving as a Captain in the Grenadier guards. After leaving the Army, he recorded the album out of Studio 9, Los Angeles with legendary producers Nic Jodoin and Michael Patterson, featuring a handful of the West coast’s finest musicians. Xander and his band “I” are an Indie/Rock/Folk/Surf 6-Piece who play constantly around London and the Southwest. 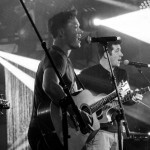 They’ll be playing at festivals throughout the Summer and are planning their first UK Tour. 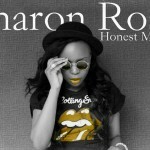 Sharon Rose is a singer/songwriter with a strong grounding in British pop, classic R’n’B, indie, and southern African music. On stage, Rose and her formidable band ‘The Thorns’ give so much energy it tends to stick long in the memory while her own ‘energy electrifies the audience’ (ParrisOh- Music Blogger SB.TV). Gary Barlow commented on her “flawless vocals” and Leona Lewis said her voice was “stunning” with “every note [was] perfect”. Beyond the unquestionable passion is a voice that is refined, timeless and sensitive.